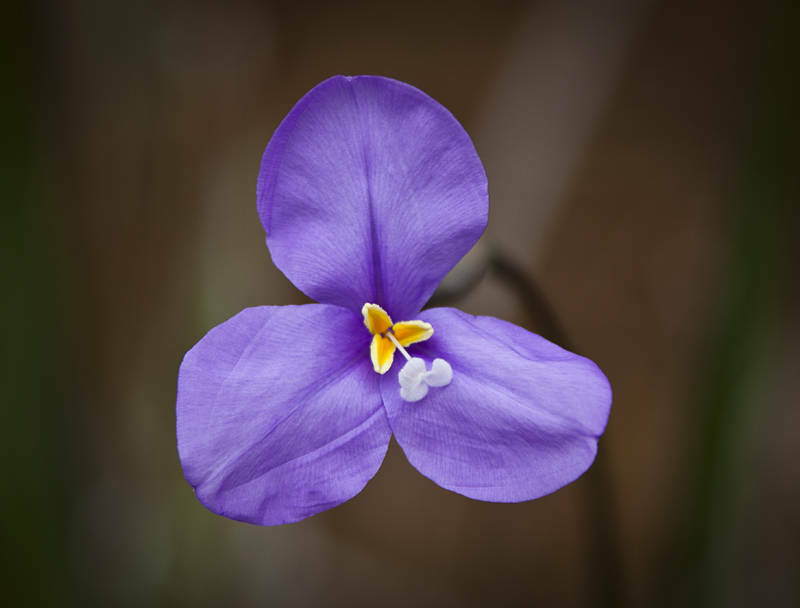 This is Patersonia Sericea, commonly known as the Purple Flag, Native Iris or Native Flag. It is endemic to Queensland, New South Wales and Victoria. This flower was photographed in a garden in Western Australia.